This year the Jewish Seniors Alliance’s Snider Foundation Empowerment Series has chosen the theme “Chicken Soup for the Body, Mind and Soul”. This theme meshes well with the Jewish Seniors Alliance’s belief that social interaction has the capacity to improve individual health and quality of life. As usual each presentation is partnered with a seniors group in the community. This year the Series will consist of four sessions. Is partnered with the Jewish Community Center Seniors. It will take place Wednesday, January 16th, 1-2:15 p. m. In the Adult Lounge of the Jewish Community Center, 950 West 41st Ave., Vancouver. 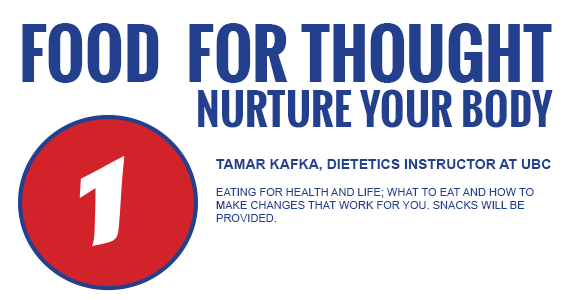 The presenter, Tamar Kafka, is a Dietetics Instructor at the University of British Columbia. Kafka’s talk will focus on eating for health and life. Healthy snacks will be provided by the Bagel Club. Join us to talk about food, but also to eat. It will be held at the Unitarian Center, 949 West 49th, on Thursday, February 14, 11-1. 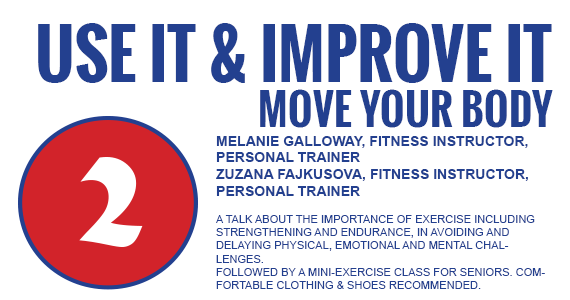 Presenters are Melanie Galloway and Zusana Fajkusova both of whom are fitness instructors as well as personal trainers. Their presentation will emphasize the importance of exercise including strengthening and endurance in meeting physical, emotional and mental challenges. It will also include a mini-exercise class for seniors. Comfortable clothing and shoes are recommended. Refreshments will be provided but a bag lunch is also suggested. Soul will be held with Sholom Aleichem Seniors at the Peretz Center, 6184 Ash Street, on Friday, April 12th, 11-12:30. Hillel said, “separate yourself not from the community”. Judaism is communal—we even pray in a Minyan. 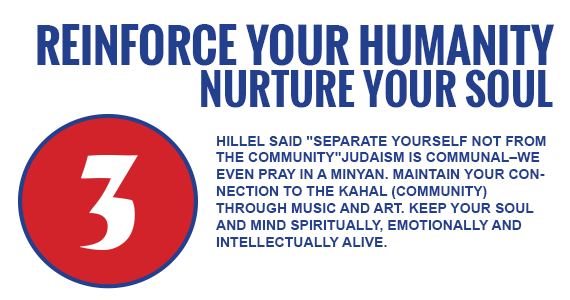 Maintain your connection to the kehilah (community) through music and art. Keep your soul and mind spiritually, emotionally and intellectually alive. Speakers and musical entertainment to be announced in the new year. Refreshments will follow the program. To colclude our “Chicken soup for the Body, Mind, and Soul” series, lets celebrate our lives, and who we are. 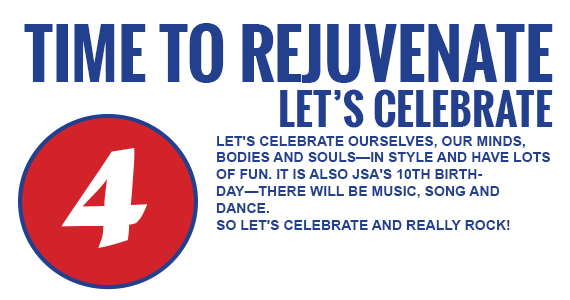 It’s also JSA’s tenth bitrhday celebration, so lets also celebrate the major contribution that the JSA has made towards our rejuvenation over the years.